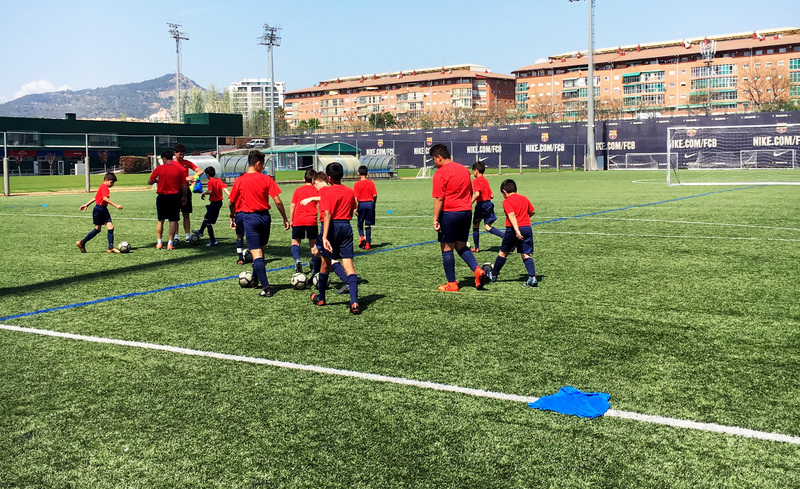 Just this past April, we had our very first camp in Barcelona at the Original La Masia (now the FCB Escola). We are so grateful for all of the players and families that accompanied us on such a successful first trip! 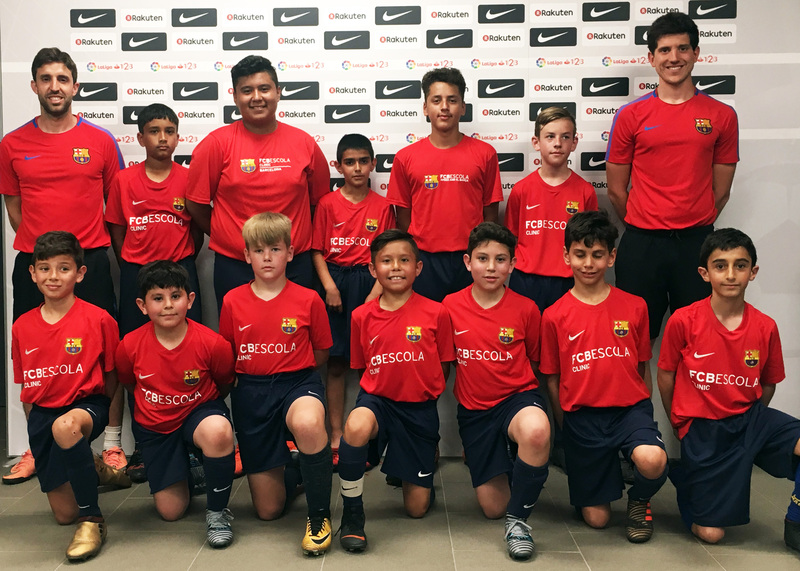 We experienced new food, intense training, wonderful excursions and even got to see some All-Star Barca players like Messi and Suarez! Take a look at our travel journal below to get a taste of our full experience. 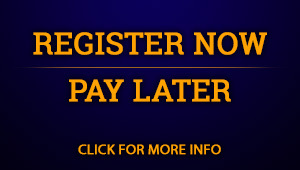 We hope to see some of you at our 2019 Camp in Barcelona! The Tibidabo Cathedral was our first excursion on the trip. It sits on top of one of the highest mountains in Barcelona, giving us an incredible view of the city! Although some of us were exhausted from traveling and experiencing jet-lag, that didn’t stop us from visiting this wonderful view! Up next, we visited the whimsically quirky world of Gaudi. 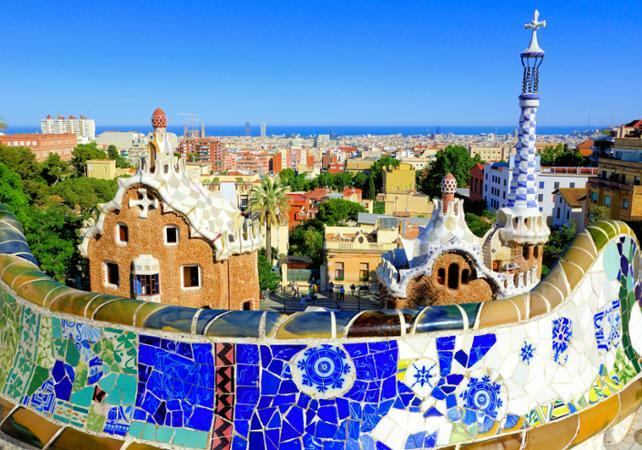 Park Guell was meant to be a residential community, but after construction funding dropped, Gaudi and the city of Barcelona decided to turn this community into a park for all to view his intricately built homes and vibrant, elaborate sculptures. We even all got to take a picture with the famous Gaudi gecko! 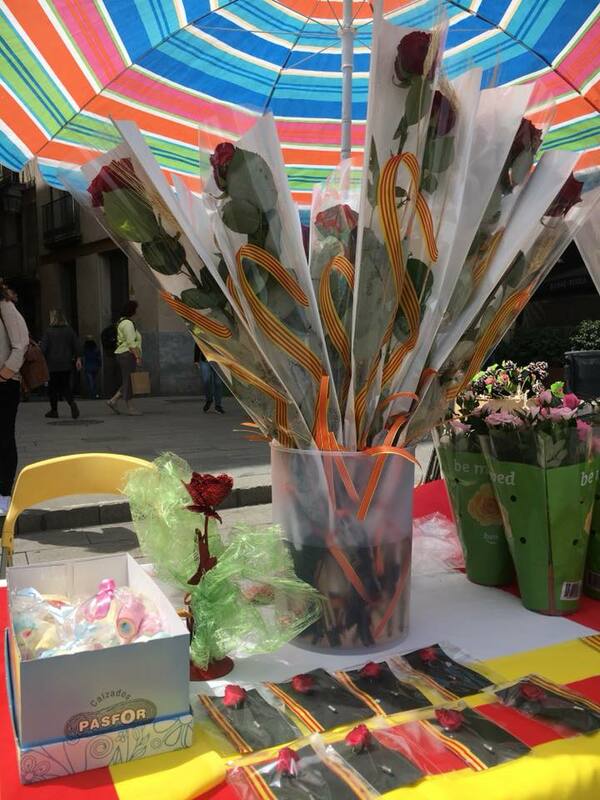 St. Jordi’s Day is one of Barcelona’s biggest holidays and is the equivalent of the American Valentine’s Day, and it just so happens that our trip coincided with this fun holiday! On St. Jordi’s Day (which is also Shakespeare’s birthday), instead of giving chocolates and candies out, the men give the women roses and in return, the women give the men books. We spent the entire morning walking around the Las Ramblas Square, enjoying food from the Boqueria Market, and purchasing books from the street vendors! After the Celebration, our players got straight to work training at the Original La Masia. They got to use the original lockers rooms of Messi, Suarez, Iniesta and all the big-time Barca players as well as play on the original field! Our second day of training consisted of two training sessions in the morning and afternoon, and one theory lesson in the morning right before lunch. Our players learned Barca strategies, values and even about the history of F.C. Barcelona, La Masia and the Escola! This was a very special day for everyone because we got to experience the Famous Camp Nou Stadium and Museum! Our players got to look at the official Cleats worn by Messi, Suarez and Pique, view all of Barca’s cups and even take a look at the official locker rooms. We were taken on a full tour of the entire stadium as well, enjoying views from the Press Box, the player’s seats and the sacred playing grass. After the tour, we were dropped of in the Official Barcelona Nike Store where our players and parents got to purchase official hats, player jerseys and balls! DAY 5: FOURTH DAY OF TRAINING AND A SPECIAL PLAYER SURPRISE! This day of our training marked a very very memorable surprise because we got to see Messi and Suarez in person! 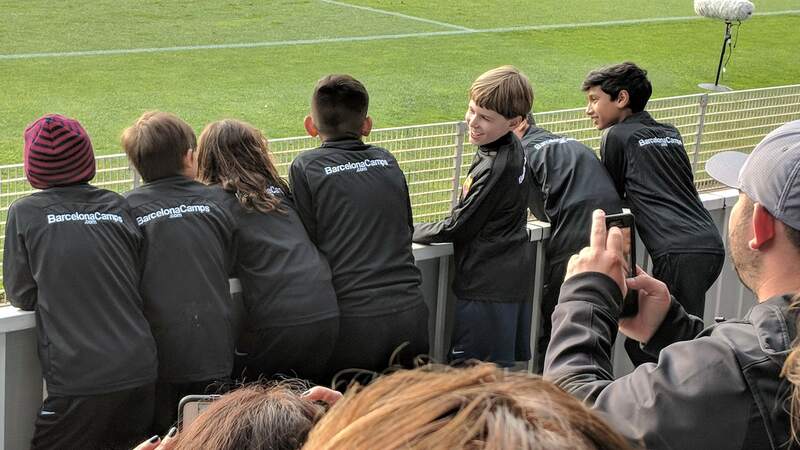 After our training was finished, Messi and Suarez were dropping off their sons at the Escola to train and as Messi was driving down the tunnel to the fields, he waved to all of our players! Truly an experience we will all never forget. On the last day of our training, we got another special surprise from F.C. Barcelona….we got to ride in the official Barca team bus to the New La Masia for our last training session! 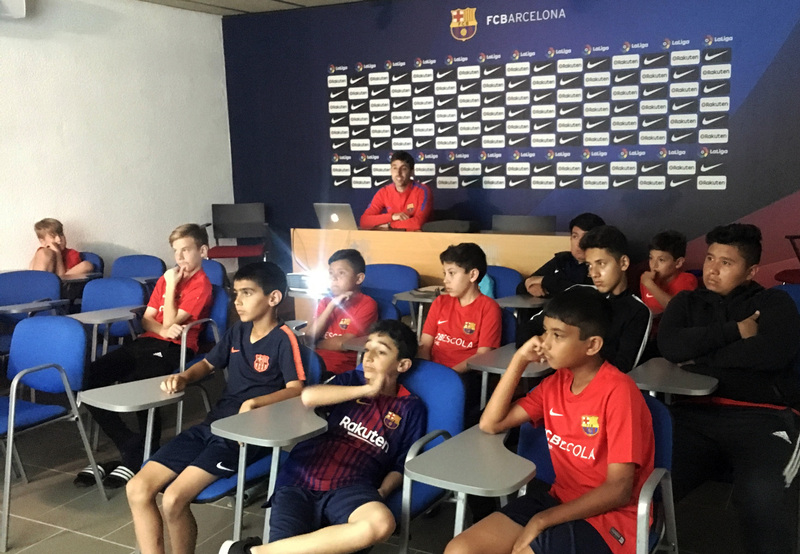 Our players got to experience a day-in-the-life of a true La Masia player; use their locker rooms, do their drills and even use their fields! We would like to thank F.C. Barcelona for making our players feel so special and for inviting us into your home. One of our last days in Barcelona was packed with many fun things! First, we got to attend a match at the RCDE Espanyol Stadium to watch Espanyol vs. Las Palmas. Our seats were right near the field and perfect spots to view all the action! Witnessing the energy, fan spirit and athlete professionalism here was beyond any of our expectations! Next we went to the famous Sagrada Familia Cathedral; a monument designed by Gaudi and that has been under construction for the past 100 years! 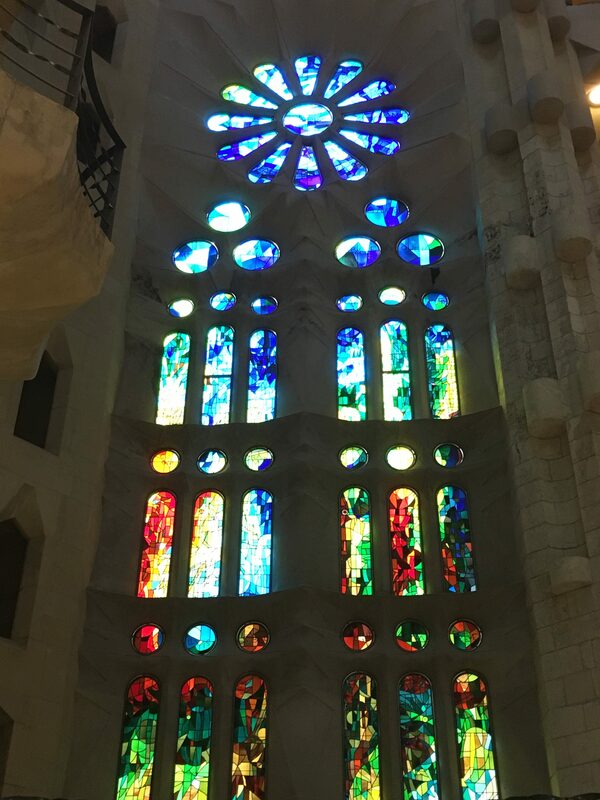 We got a private tour of the cathedral and its many beautiful areas, learned about the history of each statue and stared in amazement at the beautiful and vibrant stained glass! 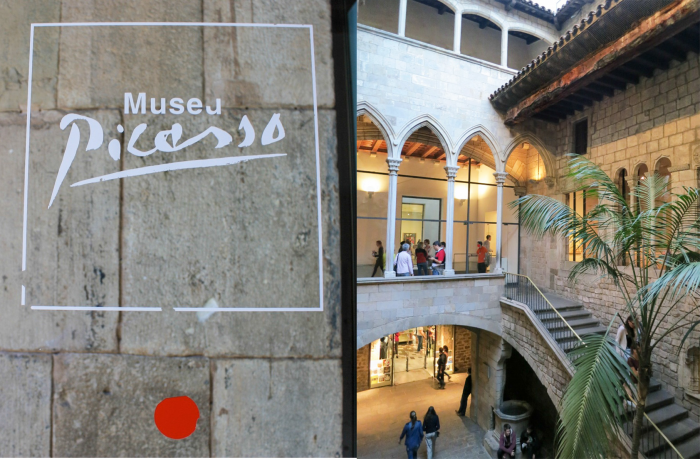 On our last day in Barcelona, we got to visit the famous works of Pablo Picasso! We got to see works from his “blue” period, his “cubism” period and even famous paintings like “Las Meninas” and “Guernica”. We would like to thank all of the parents and players for taking time out of your busy schedules to experience this wonderful opportunity with us along with F.C. Barcelona for helping us coordinate such an amazing trip! We hope to see all of you at next year’s 2018 Camp in Barcelona! Who knows, maybe we will get to meet Messi this time!